“Never a failure, always a lesson” quote on her shoulder. 16. “Never a failure, always a lesson” quote on her shoulder. 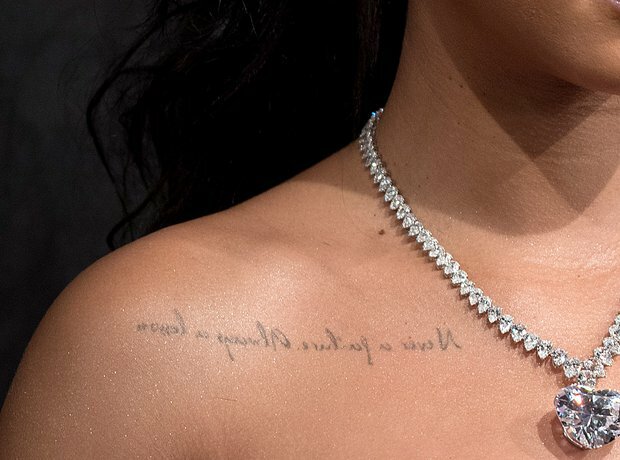 Rihanna's self-motivational tattoo represents her “motto in life for everything,” according to the singer. It's written backwards on her skin because she wanted to be able to read it in the mirror.